Smith360 certified ELDs offer advanced GPS location and telematics to track your fleet while also monitoring driver behavior. Other benefits include route optimization, accident detection and notification, fuel tax reporting and more. Clear, easy-to-read graphics show data on fuel economy, idle times, engine diagnostics, routes and stops, hours of service and other important trends. How many drivers in your fleet regularly go 10 mph over the speed limit? What is your average fuel economy? Where are your vehicles typically operated? What is the trend in your idle times? With Smith360 telematics, you’ll have the answers to all these questions and more. Smith360 driver and fleet management is an ELD compliant application that allows you to monitor hours of service, daily vehicle inspections, driver behavior, engine hours and PTO usage. Telematics also give you the ability to track fuel usage, mileage, and idling trends, while maintaining complete visibility of workforce, assets and expenses. 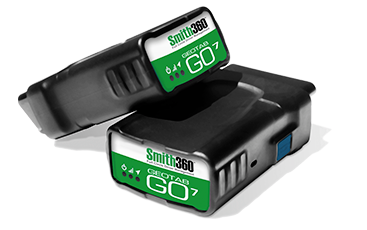 Smith360 has an easy-to-install module that plugs directly into each vehicle’s diagnostics connector to allow you to track drivers and monitor the movement of every vehicle in real time. Correct inefficiencies and dangerous behaviors to save money, reduce liability issues, prevent injuries and even save lives. 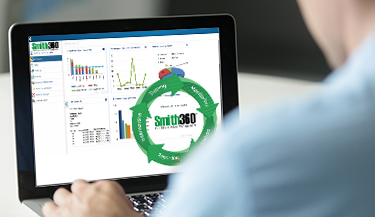 Smith360 also provides a number of other valuable features including geo-fencing, driver messaging, route planning/optimization, support for regulatory compliance and custom reporting. In addition, it can integrate seamlessly with Smith System’s KeySix™ driver metrics tool.